It’s competition time! 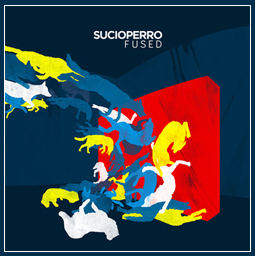 We’ve got some Fused goodies to give away – the original, one-off, test pressing of the album artwork (signed, roughly A3 size), a signed copy of the album, a Fused t-shirt and some limited edition Sucioperro guitar plectrums. All you need to do to win is make sure you’re following us on Twitter and retweet our upcoming competition tweet. 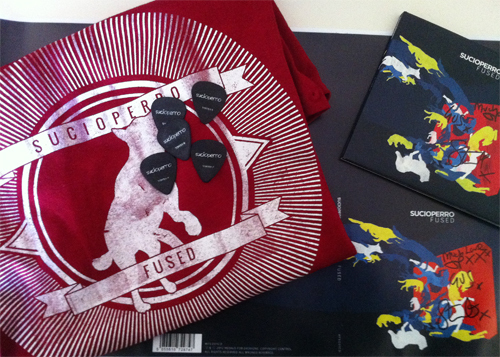 The competition is open until the middle of next week, when we’ll be picking a winner at random. UPDATE: The competition tweet is viewable here!